Home of the Pentecostal Experience! In the early 1900’s, several families with a Pentecostal background began to settle in the south-central Idaho region of Twin Falls, Buhl, Albion, Hansen and Kimberly. They would meet at each other’s homes and at the Pleasant Valley Schoolhouse, located south of Kimberly, to pray and worship. In 1924, Mattie Crawford held a tent meeting in Boise, Idaho. She was a nationally-acclaimed evangelist who preached the Oneness of the Godhead and the infilling of the Holy Ghost. Her meetings were accompanied by regular reports of miraculous healing. Hearing of her, believers from Twin Falls went to meet her in Boise and invite her to hold a tent revival in Twin Falls. Crawford arrived in September for a two week revival, however, due to the meeting’s popularity, it was extended an additional week. News articles state there were more than 2,500 people in attendance. It is recorded that a baptismal service was held at the Perrine coulee, where more than 40 people were baptized in Jesus’ name. Following the revival meetings, believers organized regular meetings at a local theatre. The initial group outgrew that location and moved to a larger hall known as the Bisbee Building. At this time the assembly was referred to as “The Pentecostal Church” or “The Main Street Mission”. In 1926, two lots were donated for the building of Bethel Temple Church on 3rd Avenue West. A local farmer donated the funds to build the church. Upon its completion, Brother E.G. Lowe became the first pastor of Bethel Temple Evangelistic Association. Brother Lovell then succeeded him. In approximately 1930, Brother E.G. Lowe returned to pastor for a second time. Following him was Brother Joe Eads. Upon Brother Eads departure, the church board made contact with Brother G.T. Haywood of Indianapolis, Indiana about needing a pastor. Brother Haywood recommended Brother B.M. David. Brother David accepted the pastorate in late 1931 and moved his household to Twin Falls in April, 1932. Pastor B.M. David arrived with his wife Ruth and housekeeper (later wife) Elvira Strand. In spite of a strong accent, he was a very good preacher. He stressed Jesus’ name baptism and healing. His wife was a good Bible teacher, especially for children. She made concepts and stories in the Bible very easy to understand. There were many miracles and divine healings reported under Pastor David’s ministry. Pastor David was of Persian (Iranian) descent, and associated with many other Oneness Pentecostal ministers such as G.T. Haywood, A.D. Urshan and W.T. Witherspoon. He was affiliated with the Pentecostal Assemblies of Jesus Christ (PA of JC) organization until 1945 and remained independent thereafter. Under Pastor David, Bethel Temple held some form of church meeting almost every day of the week. One notable weekly event was the radio broadcast of music and Bible teaching. Consistent church growth resulted in several building expansions. In 1955, the Bethel Temple Church building was entirely rebuilt as a brick structure. Sunday school rooms were added approximately five years later. In February, 1943, Ruth David passed away. In September, 1944, Pastor David married Elvira Strand. Pastor David passed away while still pastoring in November, 1963. Brother William Parent of Pontiac, Michigan came for several months after the death of Pastor David to fill in until a new pastor could be found. J.L. Tankersly was selected as the pastor in January, 1964 and remained until 1975. Brother Carroll McGruder assumed the pastorate of Bethel Temple Church in March, 1975. He married Priscilla (McDonald) McGruder while he pastored in Twin Falls. The McGruder family remained at Bethel Temple until December 1980. When Brother McGruder informed the church he was going to be leaving, the search for a new pastor began. The church had become acquainted with Brother Allen Picklesimer in 1976, when he started to come to Idaho every fall to hunt. Brother Picklesimer was considered and selected as pastor in December, 1980. Brother and Sister Picklesimer arrived in Twin Falls in January, 1981. Pastor Picklesimer was sent by God, not only to Bethel Temple Church, but also to Idaho and the Pacific Northwest. Through the patient teaching and preaching of Pastor Picklesimer, the doctrinal foundation of Bethel Temple Church was re-established. His years of pastoral ministry are marked by an emphasis on prayer, evangelism, personal holiness and a moving of the Spirit. Pastor Picklesimer aided in establishing Truth Tabernacle in Burley, Idaho in 1987. He also supported many other new and established churches in Idaho and the Pacific Northwest. His ministry and spiritual leadership among the Oneness Pentecostal fellowship extends far beyond the local church in Twin Falls. Pastor Picklesimer, now holding the office of Bishop, resides in Twin Falls, along with most of his extended family and serves on the Bethel Temple Church Council of Elders. Bro. John Collins, Jr. assumed the pastorate of Bethel Temple Church in June, 2006 after serving for many years as a local minister. Under the direction of Pastor Collins, a new church facility was built to include a Family Center and Bethel Temple Christian Academy. Pastor Collins has carried on the doctrines, teachings and evangelistic emphasis that were central during the tenure of Pastor Picklesimer. Bethel Temple Apostolic Church continues to be a thriving and active assembly. Weekly Bible classes were an important part of the service schedule. Pastor B. M. David and Sis. Ruth David sit in front of the group. Sis. Ruth David was often a teacher in these classes. Thought to be the earliest group photo of Bethel Temple Church. This photo taken about 1930. Bethel Temple Group Photo. Part 1. Pastor B. M. David sitting in foreground in dark suit and tie. 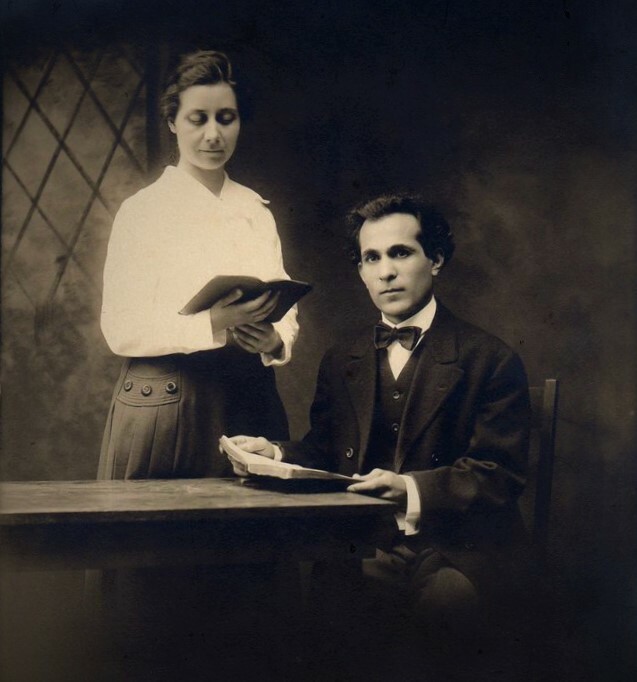 This set of two photos were taken close to the time that B. M. David became the pastor. Note the group size and varied ages—both signs of a healthy church. Bethel Temple Group Photo. Part 2. About 1932. Rev. Curts also ministers in Divine Healing. Come and bring your sick body to be prayed for. It will cost you nothing. Under his ministry thousands have come to God, and thousands have been healed of all manner of diseases. He is well known…Canada…England, Holland, Russia, and Persia. Under his ministry…thousands have been healed of all kinds of diseases. …hundreds of sick people have been healed through his prayer. There will be meetings day and night. Are you sick? Come and get healed.